I've just unearthed some photos of my trip to India that I thought I had lost, I was so pleased to see them I thought I would give you a little guide to my India. I was supposed to go with a group of students but ended up going completely on my own, not what I had planned for but I couldn't turn down the opportunity. I flew to Delhi where I was booked into the YWCA, it was filthy so my trusty husband got on the internet and found me somewhere a bit more suitable while I was apparently "kicking up a rumpus" - no Hindi equivalent! On my first morning I got the train to Jaipur, the traffic was horrendous and I definitely wouldn't have made the train if I had waited in the security check queue. The taxi driver and everyone who knew I was getting the train told me under no circumstances to hand over my bag or ticket to anyone, so when a clearly drunk local approached me at 6 in the morning offering assistance I handed them both to him. I reasoned that he couldn't out run me he was so small. Anyway my little Indian got me on the train just in time but in the third not first class, I was oblivious to this until the conductor came along. The first photo is Third Class - which had fewer people - and the second is First Class. The only differences I could see were tinted windows, a china cup for tea and the teaspoon - same spoon - came in a little paper bag in first class. My favourite thing about getting an Indian train is that you get breakfast and cornflakes with hot milk! When I arrived in Jaipur I wasn't met as promised and so managed to get myself into an Auto which broke down on a flyover and when I eventually got to my hotel I wasn't impressed and left but I hadn't noticed where we were because I had been reading the driver's visitor book. In all of my time in India this was the only one where I experienced mild panic. I didn't know where I was going but I was down an alley with the road a few hundred yards away, there was a group of men standing around a fire - no idea why but looked up to no good and I had all of my possessions strapped to my back in the brightest yellow bag I could find. I put my shoulders back and briskly marched on like I knew where I was, flagged down a taxi and asked what was the best hotel in Jaipur. I ended up at the Rambagh Palace, so fancy that a taxi can't be admitted to the grounds so I walked up looking like a tramp apart from my Chanel sunglasses. I thought that they would help me or I could at least get a drink and wifi and sort out a new place to stay. It turned out to be £400 a night which I seriously contemplated because this was the most tranquil oasis I had ever seen and outside the grounds was complete mayhem. Then I was offered a £40 room which was in their guest house and after rejecting two places already I thought this might be dodgy so they got out the vintage car - about 1930's - and drove me around and it was fab, a place usually used by the minions of the fancy people in the Palace. There were only a couple of others staying there, my room was top notch marble, telephone in the bath and the veranda looked out on to the pool. The best bit was that I was allowed to go up to the Palace, the guard just had to let me through the gate. Unfortunately I had chosen my clothes to look like I owned nothing of value and it wouldn't be worth robbing me, I did however have a pair of charity shop linen trousers, a charity shop linen shirt and a pair of gold pumps, so I got the flannel on the pumps and off I went. This was THE fanciest place I have ever been and I've been to the best across the world, it was just spectacular in every detail. My courage nearly failed as I approached but I took a deep breathe and the Maitre'd couldn't have been kinder, I had scallops and enquired after breakfast, they did Eggs Benedict and I simply must come back in the morning, so I did and I trotted up for every meal while I was there. I was supposed to have an itinerary before I left England but this hadn't yet materialised so I was there for a week and had no idea what to do or where to go. My solution was to email every guide I could find in Jaipur and the only one who was free was Nand, I was a bit worried as to why he could come straight over and everyone else was busy but I later found out from his wife at his house that it was his birthday. Nand looked after me for my time in Jaipur and found me lots of textiles to look at and took me to places that I would never of had access to on my own, it was brill. This was a place that did indigo dyeing and this man had been doing this job for about 40 years, it was amazing, this is my favourite picture of the whole trip. These guys put on a little club Polo for me. Very behind the scenes at a tiger sanctuary. My trip was cut short because it apparently wasn't safe for me to be travelling at Holi and then the trains where stopped because of protestors. We were at the bust station at 5 in the morning and I managed to get the very last seat on the bus back to Delhi, the most terrifying bus journey I have ever been on, I was in the front seat and didn't think that the bus would stay upright at times. There was only one other white face on the bus, Ellie, and we had a fab day when we eventually got back to Delhi, ending up in a cinema where a waiter takes your drinks order from your reclining seat. I was stuck in my hotel for the weekend which wasn't in any way a hardship and I found a fellow knitter through Ravelry who invited me over after the high jinx of Holi was over at night. I spent a fantastic evening with her and her husband and had a proper Indian meal. Back in Delhi I went to see the workers of a women's co-operative in their homes, unfortunately the girl who was showing me around could speak no English and I had no Hindi but we got through with the help of some Sherbert Lemons. I went on the underground which I don't think many tourists do and it's brilliant, clean, no food, no queues, women only carriages and platform sections but you do get a serious frisking on the way in. I went to Old Delhi, no-one could understand why I would want to but I loved it. There where wires everywhere and everything was crumbling but it was just so vibrant. This was another train journey to Agra, I was always the only European. More cornflakes with hot milk. I was unimpressed, I think because it had always been a tomb to visit and had never had any actual life here and I was definitely not queueing for the Diana bench. Many a late night station wait. My bed for the night, I loved it, I travelled with my handbag and a tote bag down to Varanasi leaving the bulk of my stuff in Delhi. I wasn't so keen on the four birth, I woke up with a man eating his breakfast on the end of my bed. In Varanasi I had a tour of every rug making place in the region, dined at the Country Club and had a trip on the Ganges. 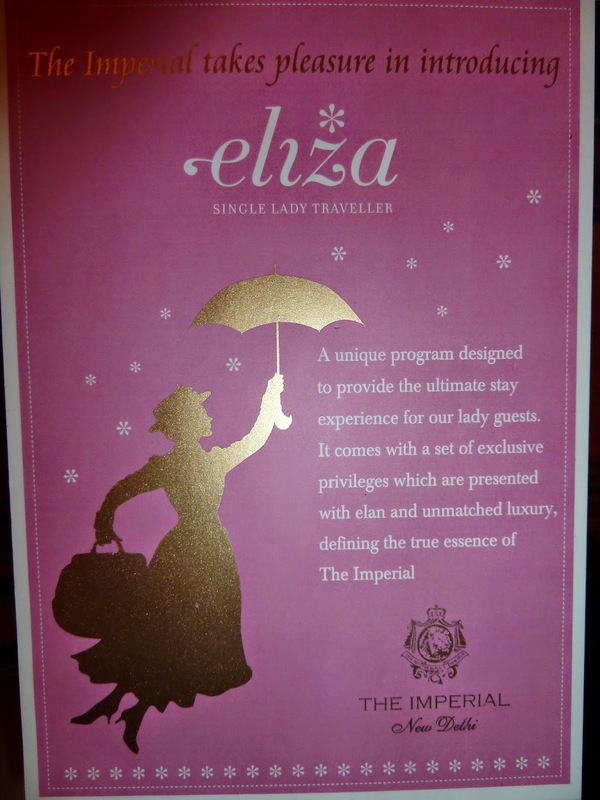 When I finally got back to Delhi I was greeted at the station by my driver who whisked me away to the Imperial - booked before I left home as a treat after weeks of slumming it - and the special 'Single Lady Traveler' wing of the hotel, I feel this may have been wasted on me though! I had a major blowout in the best store in Delhi, a manicure and a Biryani by the pool, the perfect ending to an eventful trip.